Ralph is a bear with a single-minded purpose in this unique and heartwarming book by author dhtreichler. That purpose is to undergo seven Ordeals to prove himself worthy of coming to live with a hospitalized seven-year-old girl named SJ. This extraordinary book, allegorical in nature, helps very sick children and their parents learn to cope with the innumerable tests and procedures a small patient must put up with while hospitalized, and brings hope to those who might otherwise be on the brink of despair. Ralph bravely faces each of his seven Ordeals, and learns — along with the reader — that adversity often builds character. Each challenge faced by Ralph brings him closer to “Bearmas” — the date he will arrive at his chosen little girl’s hospital bedside. The Ordeals are wildly imaginative, ranging from rolling across a flaming bridge in a shingle-covered wheel to convincing a nation of lotus-eaters to give up the practice and donate the calm-inducing pods to those boys and girls in most need of it. Not to be confused with an ordinary children’s book, this is the ultimate in cautionary tales, written with immense inspiration and joie de vivre. It is guaranteed to delight and uplift readers of all ages. Indeed, there are some references in the book that will even startle and amuse you amid the drama, as when Tatiana, Commander of the Fairyland Raiders, responds to a suggestion that her troops utilize “fairy dust alternatives” in order to keep flying about. SJ’s mother Genevieve, her Granma, and Dr. Hamilton all take turns recounting Ralph’s colorful exploits, which always begin and end before the august Supreme Bear Council — the beary body charged with assigning Ralph’s Ordeals. From there, Ralph goes in search of such disparate items as a massive medallion from the neck of a fearsome Cyclops to the jewel of the Sun God Ra, now in the keeping of a many-headed Medusa, which has already turned many treasure-seeking bears to stone by merely looking at them. In every instance, Ralph acquires a virtue such as Humility, Modesty, Prudence, and even Transcendence — all in the course of completing his assigned tasks. He finds much-needed help along the way from smelly, hairy trolls, loquacious Lions, and even a mysterious, black-hooded woman named Lorelei, who helps immeasurably in the adventure of the lissome Lotus Eaters. This is an epic story of triumph over tragedy as Ralph learns many hard-won lessons on his way into SJ’s heart. Chief among them is the value of perseverance and courage in the face of daunting odds. 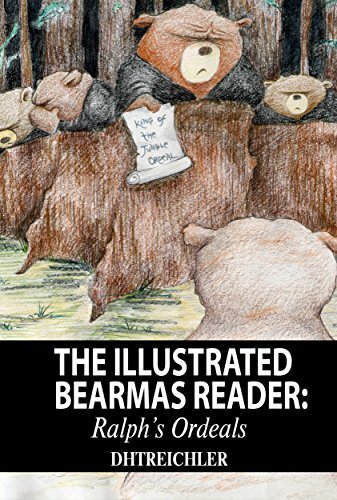 Five stars to The Illustrated Bearmas Reader. Its richly illustrated pages will bring strength and joy to many children, giving them the ability to withstand medical hardship in the hope of one day celebrating their very own Bearmas.